During the colder months, animals spending time on your roof or near your gutters will sense the warmth from your chimney when you have a fire lit. As a result, the critters will make nests close to or inside of the chimney flue. In only a few days, you could have an entire family of animals dwelling in your chimney rent free! Squirrels can make a nest that is 4 feet deep in less than 24 hours, and a chimney cap can keep them out. Other than preventing a nest from being created, a chimney cap also stops animals from blocking the path of smoke out of your chimney. When there is an obstruction at any point in the chimney, dangerous gases can become backed up in the rooms of your home and lead to smoke and soot damage, in addition to carbon monoxide poisoning. Rain, ice and snow all lead to major chimney problems once they make it inside of the flue. Exposure to moisture leads to deterioration inside of the chimney. The freeze-thaw cycle is very hard on masonry walls and the chimney liner. When water seeps into cracks in the bricks and freezes, it expands. When it melts again, it can take some of the structural integrity of each brick along with it. 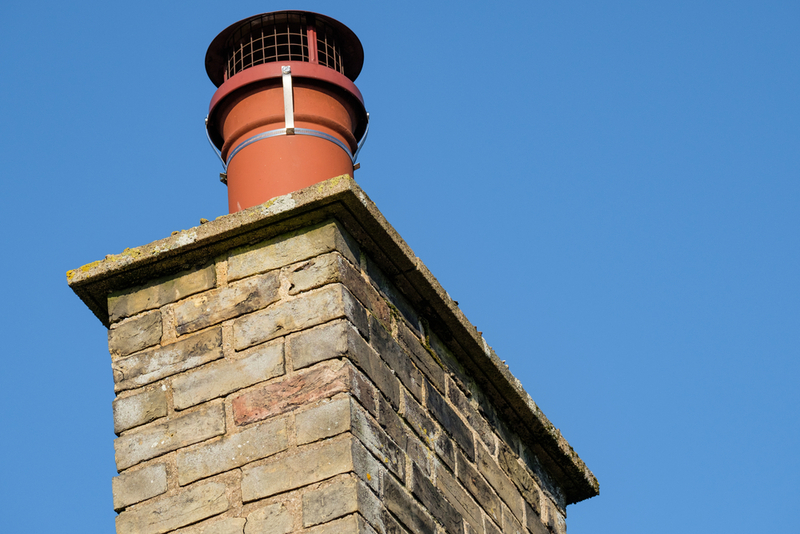 Are There Downsides to a Chimney Cap? Some people worry about the common misconception that adding a chimney cap to the top will lead to a draft problem. However, as long as the chimney cap is correctly installed, it will not create a problem. You should always have a professional chimney sweep install your chimney cap and maintain it, as improper installation can cause new problems instead of fixing the old ones. When it comes to protecting your chimney and the investment that you made in your home, you should never settle for less. Call Clean Sweep Maryland today at 410-558-1111 for professional chimney sweep, dryer vent cleaning and gutter cleaning services designed to keep your home in wonderful condition and your family safe.